Strategy and Technology are combined to provide branding, marketing and communication solutions for web, print and video. Najera Design + Web Marketing specializes in web design and development, web marketing, SEO and social media implementation and social media management for start-up to mid-sized companies. If you’re starting a new company or your company needs to maximize its online tools, then you need a good online foundation for your business. This Middle Georgia design and marketing studio can help make that happen. 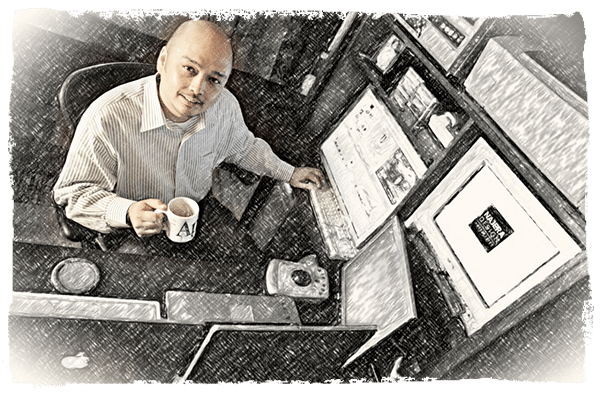 Larry Najera Jr. is an award-winning communications designer specializing as a website designer and web marketing consultant with more than 20 years of experience in developing multimedia projects including print, video and web campaigns for many businesses. Larry promotes targeted marketing efforts in all mediums including web, video and print. He produces search engine optimized SEO Macon websites, portals, shopping carts, and high definition virtual reality tours. He provides training and workshops that can help you maximize the investment of your web marketing system. As a social media consultant, Larry can manage and/or assist you with the best uses for social media tools including Facebook, LinkedIn, and Twitter for your business in Macon and surrounding areas in Georgia. Let the work, awards and testimonials help guide you in moving your company forward using graphic design, photography, web and marketing services by Najera Design + Marketing. What makes Najera Design + Marketing different? Najera Design + Marketing utilizes the latest web technologies to produce beautiful and simple web design projects that are fast and intuitive. Larry Najera is a detail-oriented team player that is very easy to work with offering personal attention and valuable strategic thinking at very competitive pricing. Our goal is to make your business look good, making sure your brand stands out from the competition, excels and profits. Here are the 10 Best Reasons to work with Najera Design + Web Marketing.